Everywear™ rug collections from Tommy Bahama can help you escape to a place that's relaxed and worry free. These rugs bring a contemporary tone while conveying the beauty of coastal living. 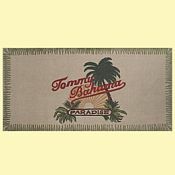 The flexible, luxurious style of the Tommy Bahama rugs are able to enhance any decor. The magnificent hand-made look is achieved through the use of multiple rich tones and organic hues. The designs set a new level of style that projects coastal living as it should be. 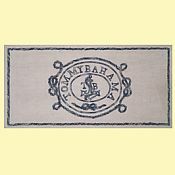 Knowing that the Tommy Bahama collection is part of the Everywear™ brand of rugs from Trans-Ocean, Inc. insures quality and durability that can be used indoors or outdoors to decorate any area. Everywear™ rugs are UV stabilized to resist fading and mildew and are easy to maintain; can be swept and rinsed off with a garden hose.